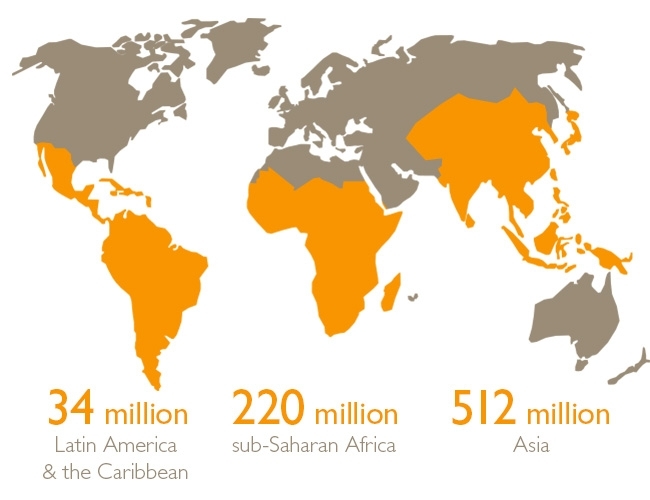 There are 795 million chronically hungry people in the world. Where do they live? *Why don't these numbers add up to 795? Because the small remaining amount of hungry people live in the developed world - in countries like Canada and the U.S.
Sub-Saharan Africa has the highest percentage of hungry people.